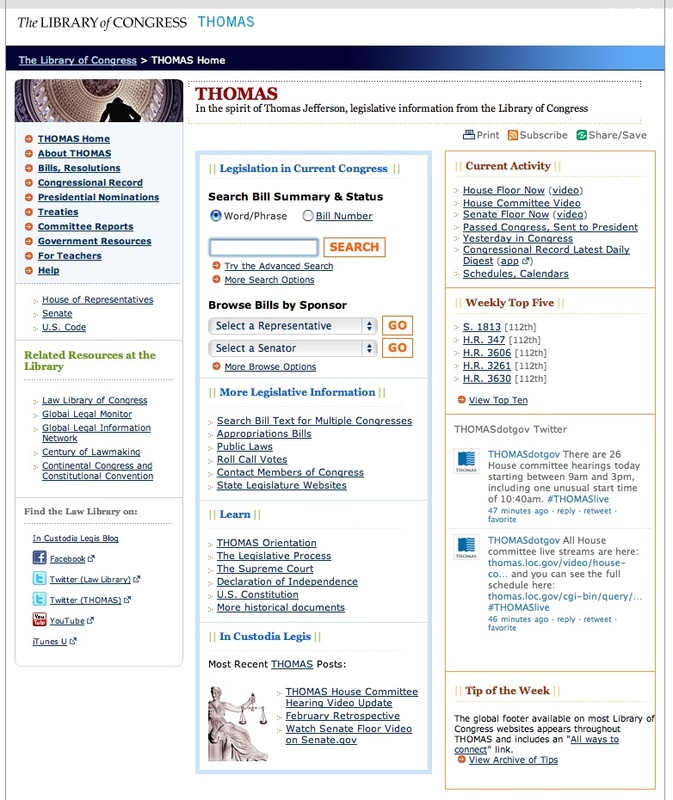 THOMAS is an online service of the Library of Congress created in 1995 to make federal legislative information freely available to the Internet public. THOMAS actually includes almost 15 databases providing a vast amount of material about the current and past US Congress activity. Records available cover the entire Congress legislative production in the last 30 years, ranging from floor actions and motions to votes, speeches and debates. Bills texts and summaries, as well as amendments from 1973 to the present are available along with legislative history, amendment descriptions and text, links to the full text of the bill and the laws. Also full-text of bills and recorded votes from the Congress houses from 1989 to the present, full-text and index of the Congressional Records, and the full-text of House and Senate committee reports are retrievable. Historical records such as a collection of US Congressional documents from 1774 to 1873 are also retrievable. Access to all databases is totally free and no registration is needed neither for individual nor for institutions. Every user can therefore freely retrieve US legislative material by searching through the advanced features and by locating and downloading in several formats the desired records through a detailed user guide and the simple interface structure of this website.